Technology has come a long way. We can come to the age in the medical spa industry where we have powerful combination devices. Introducing Charmed Medispa’s newest technology, Infini. Infini combines a medical grade microneedling treatment with radiofrequency energy (the energy used during Exilis Ultra). This combination of devices and treatments ensures that the energy that creates collagen rebuild and tightening gets delivered right where it needs to be in the skin for enhanced results with less treatments. In the beginning, we had microneedling by itself. We know the benefits of microneedling are wonderful and will stimulate collagen and smooth skin and is a great choice for wrinkles and acne scars. Microneedling can also be used with products like growth factors and PRP (Platelet rich plasma) for more therapeutic results. Also, radiofrequency devices have been around a long time including Thermage and Exilis. 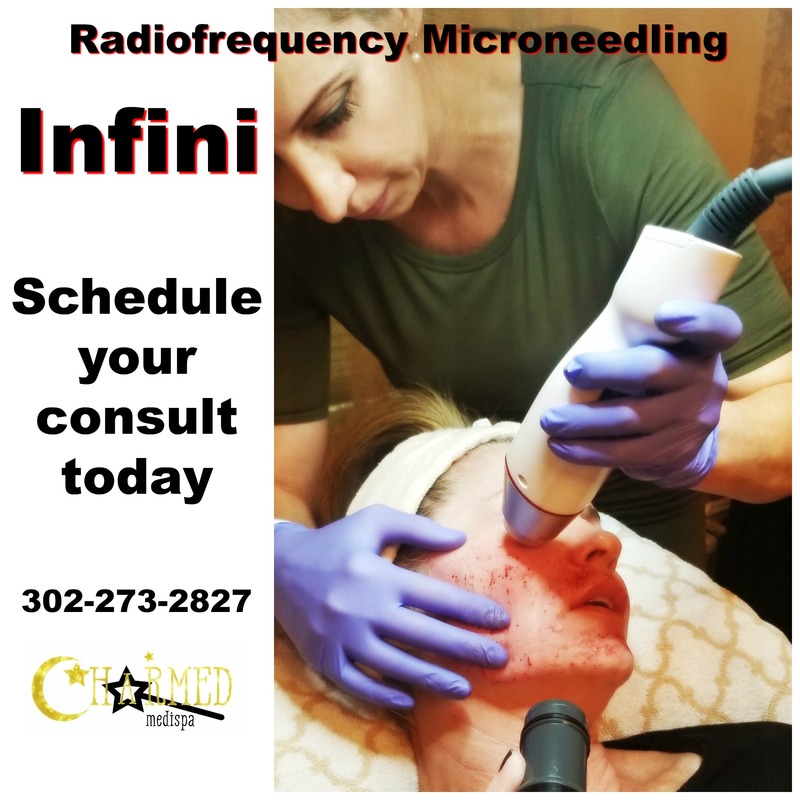 We know a lot about both microneedling and radiofrequency and are thrilled that they have been combined to form Infini. Microneedling is the tool used to delivery powerful and effective energy in the form of radiofrequency. This energy goes right to the source in the skin where it needs to be to create dramatic results. Infini is the next generation of skin tightening, smoother skin and for the treatment of deeper issues on the skin like acne scarring and stretch marks. During Infini, you will be numbed first so comfort is ensured. Then the Infini treatment is performed. There is little to no downtime with Infini microneedling radiofrequency treatments. In as little as one week, you can see the results of Infini treatments. We compared Infini to other treatments like Vivace and found superior results with Infini as well as consistent treatment delivery. Our aesthetic providers are very picky and took months of research to pick the right device to offer. 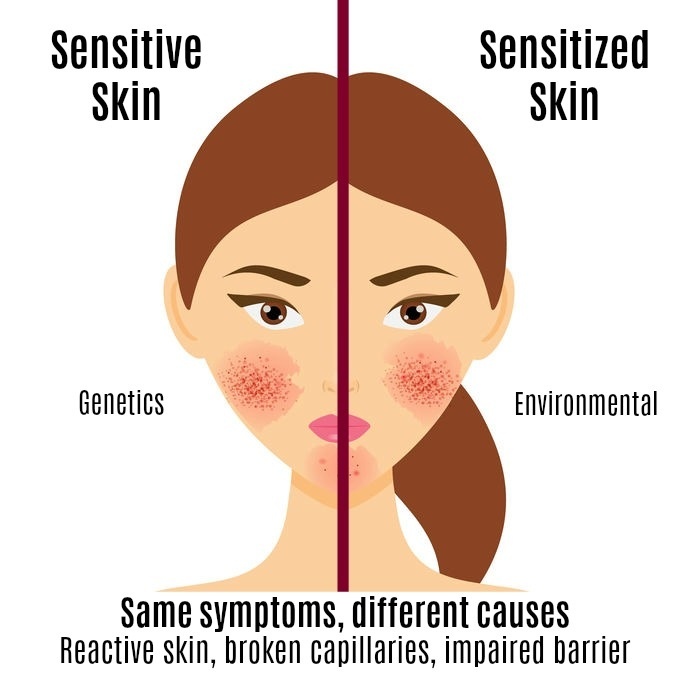 If you are looking for a med spa near you that offers a full range of therapeutic services like microneedling, call Charmed Medispa for your comprehensive evaluation. Our med spa also offers Botox and fillers, Sculptra, lip fillers, microdermabrasion and skin care with ZO Skin Health. Charmed Medispa is also an elite laser center with a full spectrum of laser services including IPL, laser hair removal and laser resurfacing. Start on your healthy, vibrant skin journey today!